With the advancement in computer science you might have come across various terms such as Artificial Intelligence, Machine learning, Deep Learning, Data science among others. There is a lot of confusion in understanding the same. Why is it Data science and Artificial Intelligence instead of a single term? The question arises is are they the same? or are they different? If yes how are they different? Artificial intelligence (AI), sometimes called machine intelligence, is intelligence demonstrated by machines, in contrast to the natural intelligence displayed by humans and other animals. Machine learning is a field of computer science that uses statistical techniques to give computer systems the ability to “learn” with data, and without being explicitly programmed. The above definition says Machine Learning involves statistical techniques, but what about Artificial Intelligence? Does it not involve statistical techniques? It may be confusing. It does creates certain questions. Tasks include– To classify images, to recognize and differentiate speech and sound, to generate and classify documents, to make decision based on different abilities. Expert Systems: To explicitly program system to complete tasks. Here it follows only predetermined algorithms. Machine Learning: Involves algorithms with graphical models. It learns on its own without need for explicit programming based on input, output and parameters. Deep Learning: It is a family of machine learning. Complex algorithms that are better than other algorithms of machine learning. It involves learning from huge amounts of data. Reinforcement Learning: It involves planning and making complex decisions based on deep learning. Most of the Artificial Intelligence involve pattern recognition. There is need of pattern recognition before classifying image in computer vision, recognizing speech in speech recognition, to classify documents in NLP or making a decision in reinforcement learning. Is image processing different from computer vision? 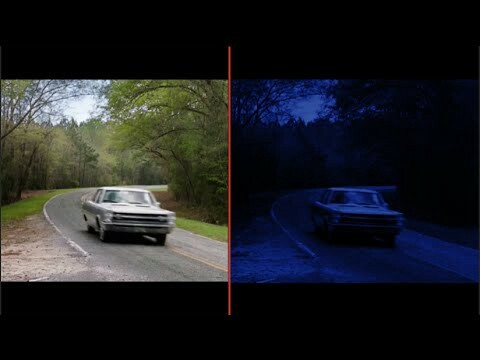 In an example of dark image of a car in night, we cannot see the make of the car but however we can convert the image to daylight image through image processing. We can further work on that reprocessed image with computer vision to complete tasks. This is how Image Processing and Computer Vision go hand in hand but are different. Is it a subset of AI, a super set or neither? Data science is the systematic study of data through observation and experiments to visualize data. Data science may also involve predictive analysis which makes use of NLP to make predictions by leveraging its capabilities. NLP is one of the methods. It may make use of multiple such methods for predictions. In conclusion the ones in green in the image below represent methods, blue as abilities and red as tasks. So that breaks down the complexity to gain a better insight in the field of Artificial Intelligence and Machine Learning among others.